All editions maintained in stock. Henle Urtext hardcover editions are clothbound in blue linen. Intended for a lifetime of use, these are the finest authoritative editions of classical music in print. between Germany and the U.S.
Op. 10, Op. 25, 3 Posth. 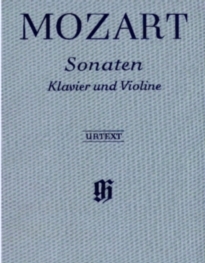 Mozart: Piano Sonatas Vols. 1 and 2 in one book. Vols. I, II, and III in one book.